Dear QB: How do I show a college that I’m still interested? 1. Submit your midyear report and financial aid materials on time. Dear QB: How do I fight senioritis? A supposed affliction of students in their final year of high school, characterized by a decline in motivation or performance. Dear QB: I wasn’t matched. Now what? When Match Day rolls around each year, we know it’s an emotional day for all of our Finalists. Anticipation, curiosity, thrill, disappointment… you name it! If you were not matched, we’re here to tell you that it’s going to be all right. The college admission process is a journey, and you have many bright paths ahead of you. You are a National College Match Finalist, which is an incredible achievement that colleges recognize. Remember how excited you were when you found out you were a Finalist? Don’t forget that feeling! There’s a reason you were excited — it’s because being a Finalist is a significant distinction. As you continue to apply to colleges through Regular Decision, this distinction will help you stand out as an applicant. Dear QB: What is QuestBridge Regular Decision? QuestBridge Regular Decision is a unique opportunity to apply to QuestBridge college partners after the National College Match. This means that students who did not match or who did not participate in rankings can still apply—and be admitted!—to any of our college partners. You can select schools you’d like to apply to on your QuestBridge Regular Decision Form from November 6 to December 11. 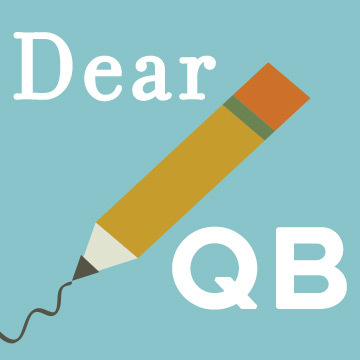 Dear QB: How do I write a great supplemental essay? At this point in the application process, you have probably spent countless hours on the QuestBridge application, and likely wrote numerous drafts of your essays. It would be great to hear that you never have to write a college admissions essay again, but unfortunately, that is probably not the case. Dear QB: How do I complete my College Match Requirements on time?